« Because Kids Can Cook! Savoury beef tenderloin cooked with mushrooms, onions, egg pasta and put together by a creamy sour cream, the perfect one pot meal to wind down your busy day. 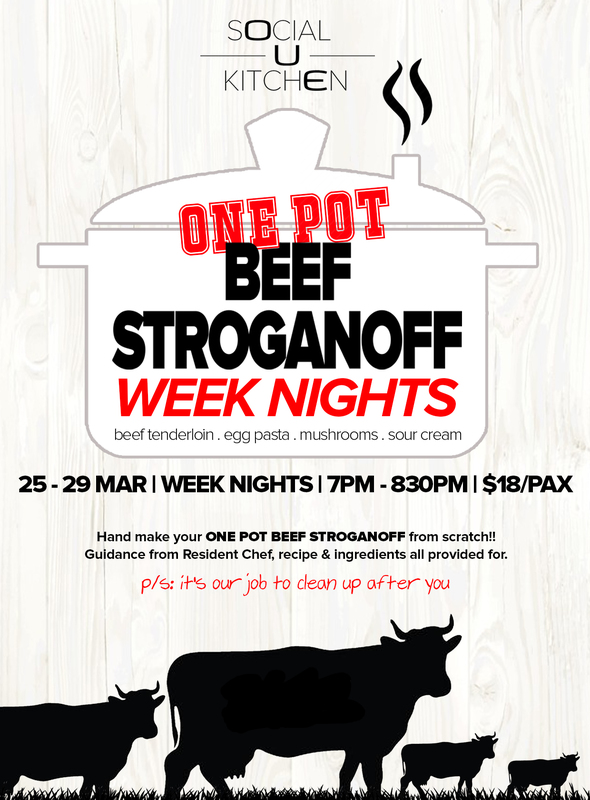 Head over to OUE Social Kitchen from 25 – 29 MAR and make your own ONE POT BEEF STROGANOFF! Also, get a chance to win a bottle of HOUSE RED OR WHITE WINE worth $49/-! Winner will be announced 1 APRIL 2019. Available 25 – 29 MAR, 7PM – 830PM.